A little boy spends the day at the beach with his family and builds the perfect sandcastle. What happens next? A dragon moves in, of course! The boy and dragon enjoy all kinds of beach-fun including kite flying and toasting marshmallows. 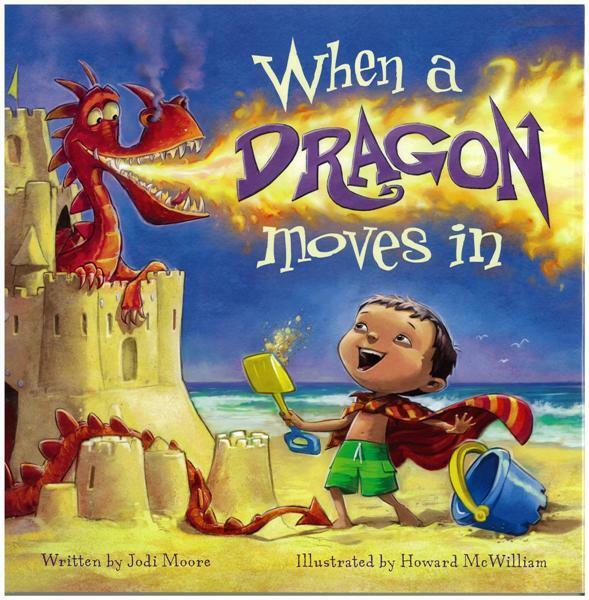 However, when things go wrong, the boy can't seem to convince his family that it's a dragon causing all the trouble . . . and not him. This is a fun and engaging read which cleverly leaves the reader wondering if the dragon is real or is just the boy’s imagination. Wonderfully paced and accompanied by magnificent illustrations, which are a joy to look at, this story is enchanting and guaranteed to bring lots of smiles.